Now that you can start enjoying your Villa Group membership (Villa Preferred Access), or if you are considering buying a Villa Group Membership, then you’ll surely want to know what it’s going to get you and which destinations in Mexico you can visit. The Villa Group membership is one of the most respected and long standing timeshare schemes in Mexico, with a small chain of high-quality resorts, which their members can take full advantage of, in the most gorgeous and popular destinations in Mexico. This post will give you a brief outline of the locations in which the Villa Group has its resorts. Cabo san Lucas, as a city, is a wonderful, gorgeous place that is very often frequented by the rich and famous, but it is also the site of one of the Villa Group’s most popular family resorts. Fisherman and boat lovers should put Cabo San Lucas at the top of their list of destinations in Mexico because the marina here is second to none. What’s more the landscape offers plenty of days out to those who love to swim, hike or kayak. A visit to El Arco (Lands’ End) is something that no-one should miss when they’re in Cabo san Lucas; you can snorkel and dive around this landmark, see sea birds from the shore (try saying that one fast! ), and even kayak around the iconic monument. Cabo san Lucas is one of the Villa Group’s best offerings. Puerto Vallarta is home to the very first Villa Group resort, and has been enduringly popular since its conception. This is partly due to the fact that Puerto Vallarta is one of the most gorgeous and vibrant tourist hotspots in Mexico. The Malecon is a favorite spot for tourists and locals alike. This mile long boardwalk has direct access to some of the best restaurants and bars in Puerto Vallarta as well as being dotted with sculptures and providing the best view of the Puerto Vallarta sunsets. You can also see whales here from November to March, and at certain times of the year all you thrill seekers can go skydiving. 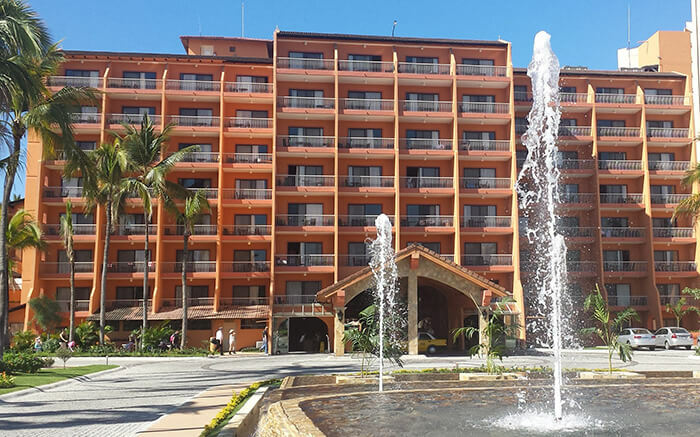 The Villa Group’s Nuevo Vallarta resort is in a prime location; it’s only 30 minutes from the nearest international airport, it’s close to the gorgeous Bucerias and has one of the most stunning beaches in the area. The restaurants and bars range from pleasantly casual to a proper fine dining experience for a romantic evening. Nuevo Vallarta is the perfect place for a honeymoon; there are so many romantic activities to enjoy such as swimming with dolphins and a night cruise. The Villa Group also offers real estate opportunities in Nuevo Vallarta through its Villa La Estancia resort. Destinations in Mexico don’t get much better than Cancun. The Cancun resort is one of the most recent additions to the Villa Group’s roster and is also one of the most luxurious. This is a five star resort and, as such, has all the services and facilities that you would expect on offer. Not only is the resort brilliant, but the attractions and activities within reach of it are top notch. The Caribbean beaches and white sands are perfect for sun worshippers, certainly, but the nightlife is spectacular too. Why not pay Coco Bongo a visit, or have dinner in one of the many fine restaurants in the hotel zone? Or, if you’d rather have something to do during the day, you could visit the Isla Mujeres, Cozumel or Holbox. You could even swim with whale sharks if you fancy, or visit the truly excellent Sian Ka’an Biosphere. It would be advisable to rent a jeep or hire a tour guide, though, because the biosphere is truly huge. The Islands of Loreto are the most tranquil, idyllic and peaceful of the locations offered by the Villa Group in Mexico and are a perfect example of the stunning array of flora and fauna that can be found in Mexico. The islands are found on the Sea of Cortez, sometimes called the aquarium of the world, and, as such, are the perfect place for those who like to get close to marine wildlife, or who love to swim, snorkel and kayak. History lovers, too, will love the Islands of Loreto because there are archaic cave paintings close by. There are so many wonderful destinations in Mexico to enjoy, and your Villa Group membership can open the doors to such possibilities.